Home to approximately fourteen thousand people, Downtown Houston functions as the central business district for Houston. When you’re done checking out places like Market Square Park, Monarch Restaurant and Lounge, or the Saint Arnold Brewery, you can move on to the range of lofts for rent in Houston that are specifically confined to the downtown area. 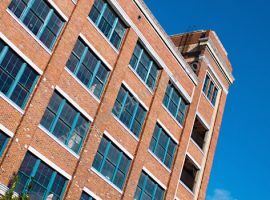 In terms of things like warehouse lofts or lofts near Market Square for rent, there’s a lot to get excited about. Dakota lofts is an excellent example. You’ll find this building right in the heart of the Warehouse District. Given that you’ll be living in North Downtown, you won’t find yourself lacking in places to go and people to see. With so many transit options, getting to work every day shouldn’t be too difficult at all. 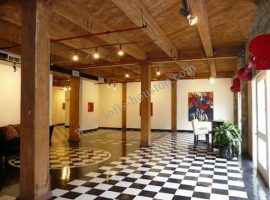 These lofts for rent in Houston will have you raving over the wood floors, granite kitchen counter, high ceilings, free laundry/fitness services, and huge bathrooms. 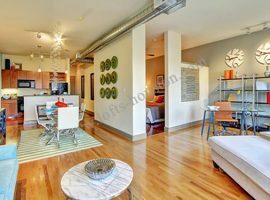 Franklin Lofts offers sixty-two luxury loft condos, as well as a range in size from one loft to the next. This is one of the most popular apartments in Downtown Houston. You’ll definitely appreciate the brick wall structures, the high ceiling appeal, and the huge windows. You’ll also enjoy the way you get to look out at Buffalo Bayou. Moving on, Hogg Palace lofts is located in Downtown Houston’s marvelous Theater District, offering beautiful Downtown Houston lofts inside its 8-story art-deco structure. Commerce Towers is another fantastic opportunity. Surrounded by the dazzling splendor of Downtown Houston, Commerce Towers promises a sophisticated alternative to some of your more historic loft apartments. Another great way to wrap yourself in the best of Downtown Houston is to look into Lofts at the Ballpark. This is another deluxe loft that can give you everything downtown offers. The varying architecture of lofts in Houston is particularly interesting with Bayou Lofts, offering spacious rooms and high windows. 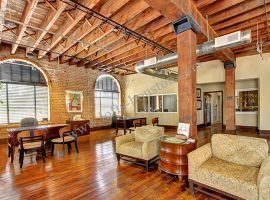 Tennison Lofts is another nice example of this, with a building that is rich in both history and personality. 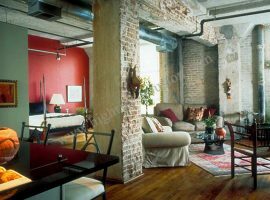 Its location is certainly appealing, as is Capitol Lofts, located in the Theater District. Skyhouse Houston has impressive amenities, which you can enjoy while living in Downtown Houston. Look for variety in floor plans. Virtually all of these lofts have 1 and 2-bedroom floor plans, but many also offer studio apartments. The number of bathrooms can also vary. Marquis Lofts on Sabine Check offers 18 one-or-two bedroom floor-plans or layouts. One Park Place has actually won awards for some of their floor plans.